Mirror not simply consider as an object to reflect ourselves. It can be applied as a decorative element in the space of the wall. As an object which reflects light and objects, mirror can be used for various purposes. People used to be familiar with the mirror as an object for reflecting. At present it has slightly larger function. In the interior designing, mirrors are used to provide decorative and psychological effects on the space. Decorative effects can be created by combining and placing a mirror at a certain place on the wall. Thus the mirror is necessary to be “decorated” which is making it more interesting than just a sparkling glass. 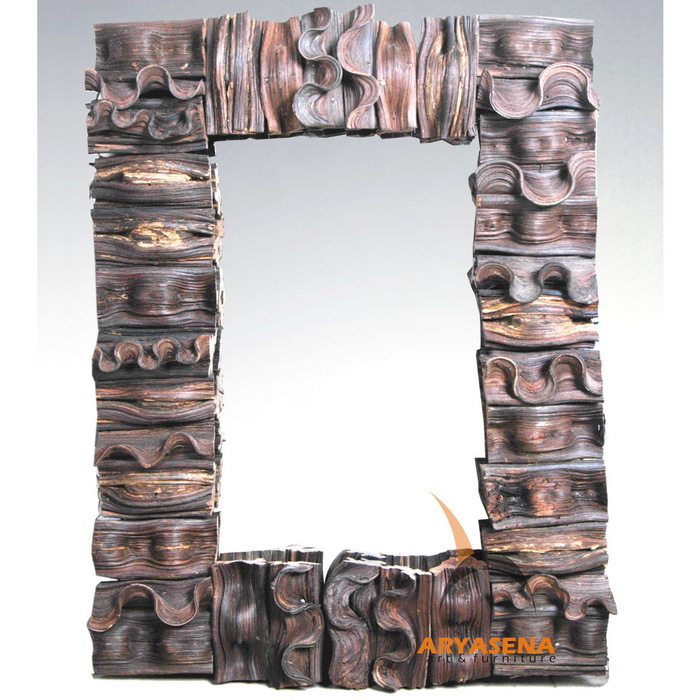 For instance, wood framed mirror, carved, or mirror with colored frame, and then hung on the walls of the room for home decor. Therefore the mirror appears as points of interest in the room. Different from the usage of mirror as home decoration, the psychological effect is more easily made. The positive effects from the use of mirrors in the room are expanding the space. The positive impact is almost the most easily obtained. This mirror affixed to the wall, and the broader impact could be obtained. A large wood framed mirror is hung up and covered one side of the wall in the room. This framework intended to affirm the existence of a mirror in the room.